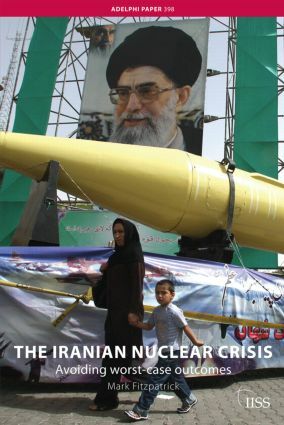 This paper explains how Iran developed its nuclear programme to the point where it threatens to achieve a weapons capability within a short time frame, and analyses Western policy responses aimed at forestalling that capability. Key questions are addressed: will the world have to accept an Iranian uranium-enrichment programme, and does having a weapons capability mean having the Bomb? For nearly two decades, Western strategy on the Iran nuclear issue emphasised denial of supply. Since 2002, there has also been a demand-side dimension to the strategy, aimed at changing Iran’s cost–benefit calculations through inducements and pressure. But the failure of these policies to prevent Iran from coming close to achieving a nuclear-weapons capability has promoted suggestions for fallback strategies that would grant legitimacy to uranium enrichment in Iran in exchange for intrusive inspections and constraints on the programme. The paper assesses these ‘second-best’ options in terms of their feasibility and their impact on the proliferation risks of diversion of nuclear material and knowledge, clandestine development and NPT break-out, and the risk of stimulating a proliferation cascade in the Middle East and beyond. It concludes that the risks are still best minimised by reinforcing the binary choice presented to Iran of cooperation or isolation, and strengthening denial of supply.